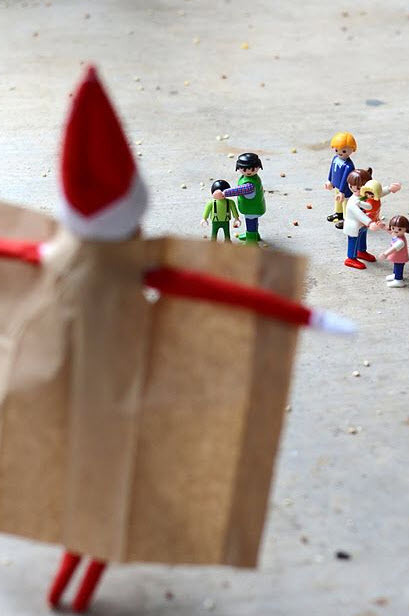 Top 10 Totally Inappropriate Elf On The Shelf Pics! 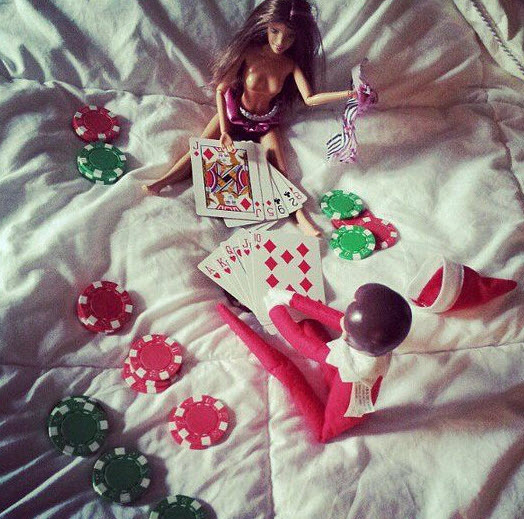 Here’s a few of my favorite most inappropriate Elf on the Shelf pics…now I need your help adding to my collection! 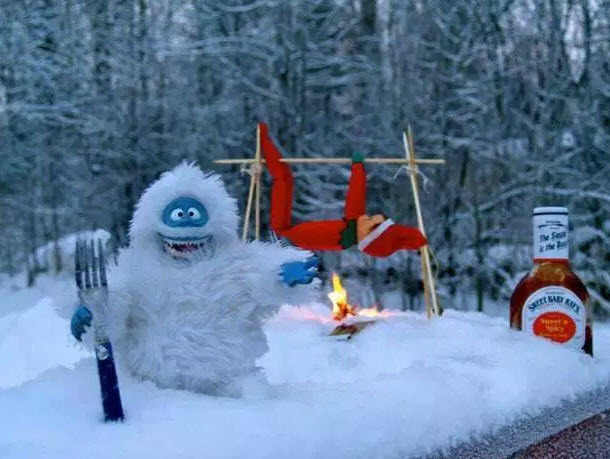 And no, these definitely are NOT for the kids…. 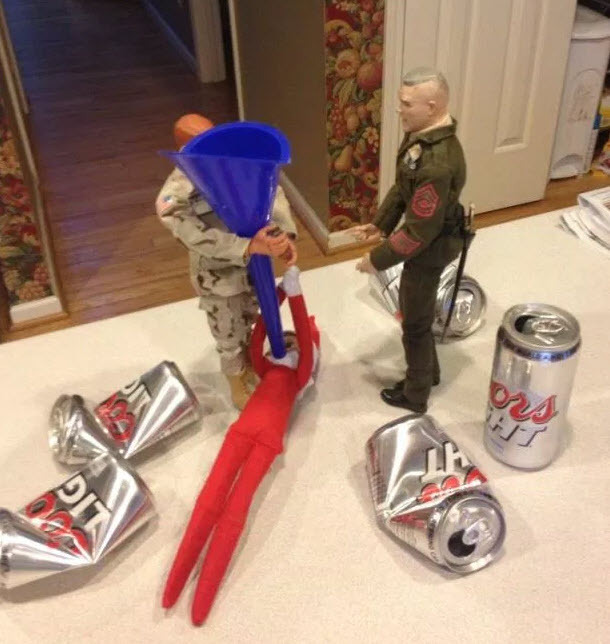 It is no secret that I have no love for the Elf on the Shelf. I have always been very vocal of my outright fear of this creepy little doll. For me, he is akin to the clown in Poltergeist. And every time I see a cute little picture of him, smiling like he can see into my soul, all I think is that little fucker wants to murder me in my sleep. 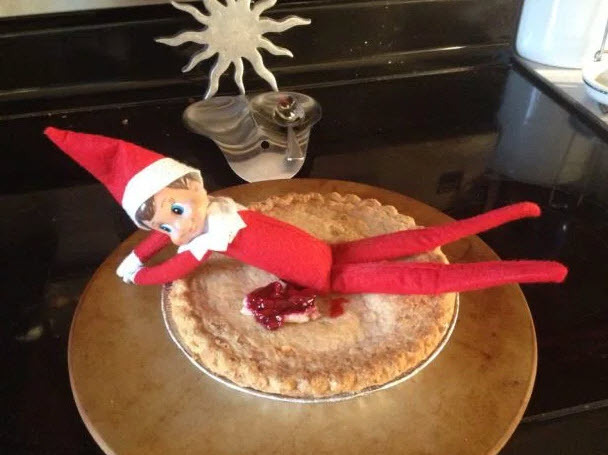 The only way I can handle even looking at his scary little elf face is if he is being tortured, or doing something warped or creepy enough to match his persona. Of course, I do realize that this probably says far more about my own twisted sense of humor than the doll itself…. but whatever.